The core collection of Japanese print publications is supplemented by personal papers of Americans who served in the Allied Occupied Japan. These papers provide insight into Allied Occupation policies and procedures and the people who planned and implemented them. They include, but are not limited to the papers listed below. Lt. Colonel Victor E. Delnore commanded the Allied Occupation Forces in Nagasaki Prefecture from 1946 to 1949. As head of the Nagasaki Military Government Team, Delnore supervised early efforts to rebuild the atomic bomb-ravaged city of Nagasaki and to restore peace and stability throughout the prefecture. 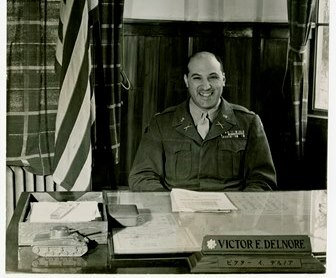 The Victor E. Delnore papers include policy statements, directives, speeches (most notably his 1948 address at the historic first Nagasaki ceremony commemorating victims of the atomic bombing), personal albums, photographs, letters, newspaper articles, and documentary films. The albums and several of the other items were farewell gifts to Delnore upon his departure from Nagasaki. Provenance: This collection was donated to the University of Maryland Libraries on May 30, 2012 by Patricia Magee, Victor Delnore's daughter. Access: The majority of the collection has been digitized and can be found in Digital Collections @ the University of Maryland. For more information, contact the Prange Collection at prangebunko [at] umd.edu. The papers of Justin Williams, Sr. provide an unequalled view of parliamentary, political and constitutional change in Japan after World War II. As Chief of the Legislative Division, he interacted with key Japanese politicians and Government Section officials who were intimately involved in making crucial decisions for Japan between 1945 and 1952. 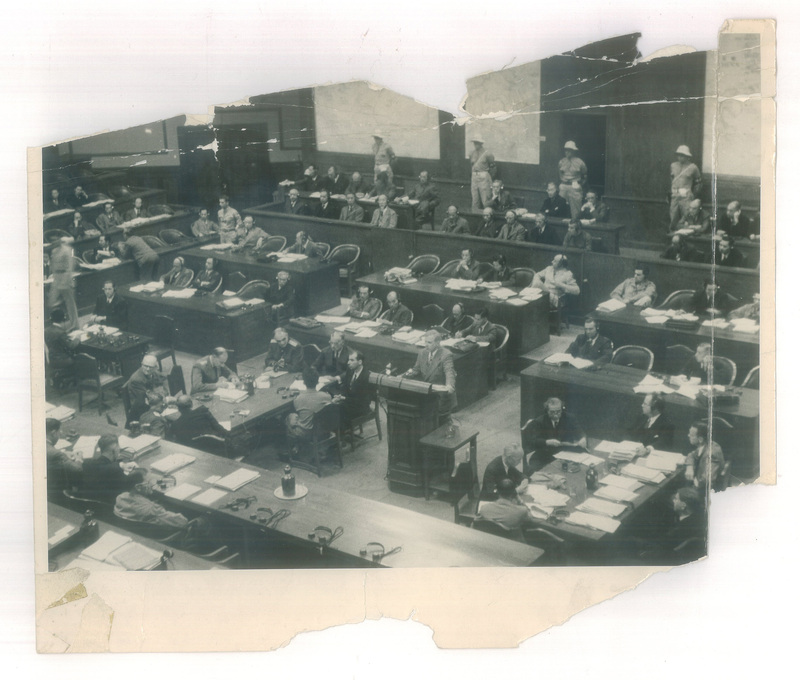 The Legislative Division maintained liaison with the Cabinet, the Diet, and the political parties, kept SCAP sections informed of pending legislation in the Diet, oversaw election campaigns and practices, and played a major role in effecting parliamentary change in the new National Diet. Williams reported directly to Major General Courtney Whitney and Colonel Charles L. Kades, the two most important Government Section officials. (George William Ware, Committee on East Asian Libraries Bulletin, October 1983, No. 72, 2). Access: The microfilm of this collection may be used on a self-serve basis in Periodicals on the first floor of McKeldin Library. 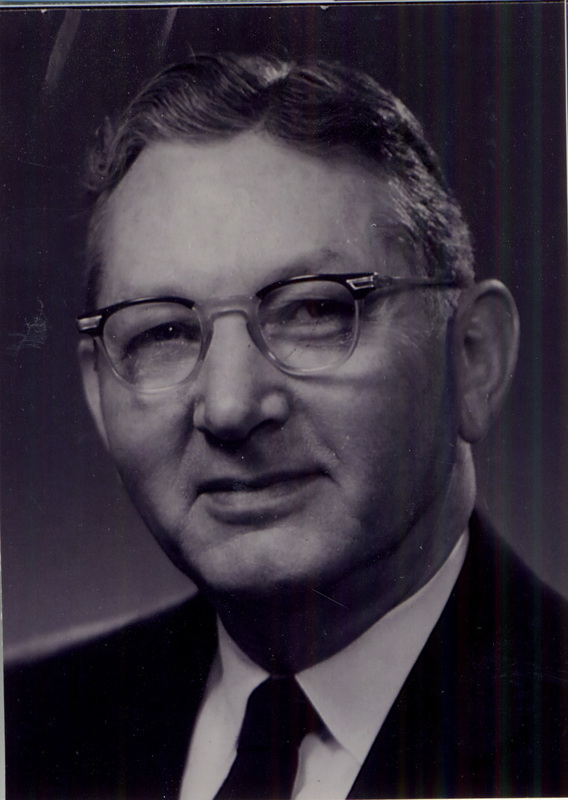 Justin Williams, Sr. papers, 1945-1952 - Williams, Justin. The 43 microfilm reels (35 mm) are located in Periodicals on the first floor of McKeldin Library. Justin Williams, Sr. papers : Microfilm index. The microform index is located in the Reference Stacks on the first floor of McKeldin Library. 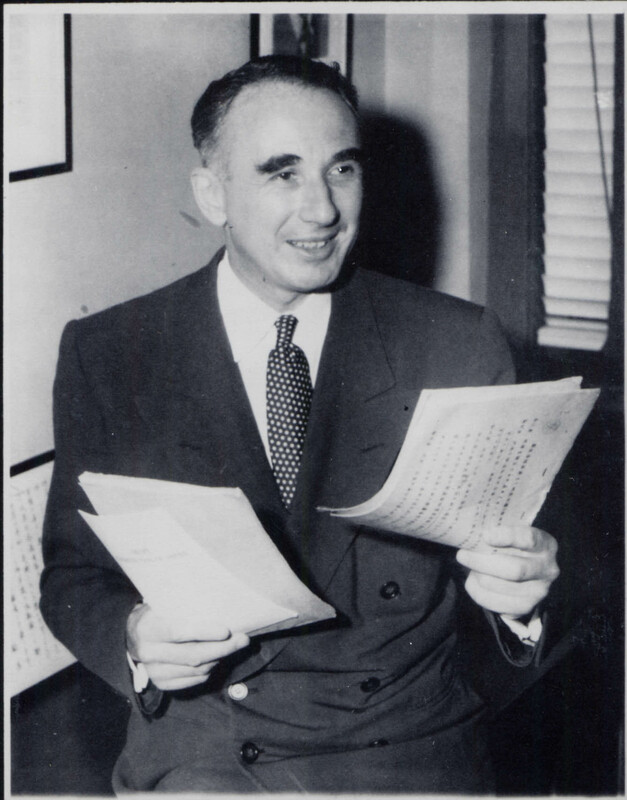 Charles L. Kades, Deputy Director of the Government Section of SCAP during the Occupation of Japan, played a leading role in drafting a model constitution for the Japanese. His papers are divided into two parts: Part A begins with the tentative revision of the Meiji Constitution of Joji Matsumoto (January 4, 1946) and concludes with the U.S. Department of State publication of the final version of the Constitution of Japan (effective May 3, 1947). Japanese and English versions of most drafts are included here. Part B includes memoranda, committee minutes, letters, check sheets, and an imperial message regarding the revision of the Japanese constitution. 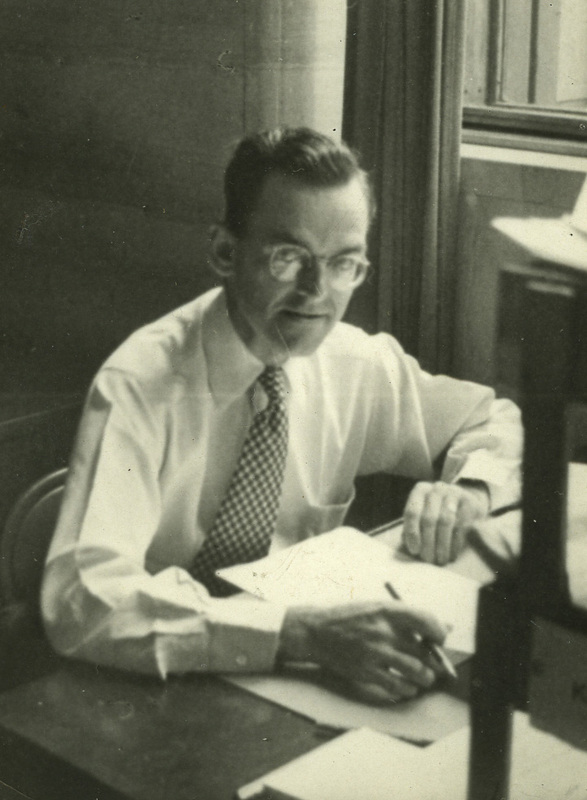 Access: The Kades papers have been digitized and are available through the Internet Archive. The microfilm of this collection may be used on a self-serve basis in Periodicals on the first floor of McKeldin Library. A photocopy of the collection may be requested for use in the Maryland Room. Charles L. Kades papers : [microform]. relating to the writing of the Japanese Constitution (1947). - Kades, Charles L.
The microfilm is located in Periodicals on the first floor of McKeldin Library. Charles L. Kades papers : relating to the writing of the Japanese Constitution (1947). - Kades, Charles L.
John R. Harold, first as a Labor Officer and later as Acting Chief of the Labor Relations Branch of the Labor Division of the Supreme Command Allied Powers (SCAP), was actively involved in the enactment and implementation of the Labor Relations Adjustment Law and in labor education in Japan during the Allied Occupation. The collection provides an overview of Occupation labor policy as documented in memoranda, correspondence, reports, news dispatches, newspaper articles, pamphlets and journals. Harold used these papers to write his autobiography, Living a Life of Social Significance, which is included in the collection. Guide to the papers of John R. Harold - Harold, John R.
The 5 microfilm reels (35 mm) are located in Periodicals on the first floor of McKeldin Library. Living a life of social significance : an autobiography of the professional life of an attorney to the labor movement - Harold, John R.
The 1 microfilm reel (ill., maps ; 35mm) is located in Periodicals on the first floor of McKeldin Library. This book, located in the Prange Collection stacks, is non-circulating. To make arrangements to use it, contact the Prange Collection. 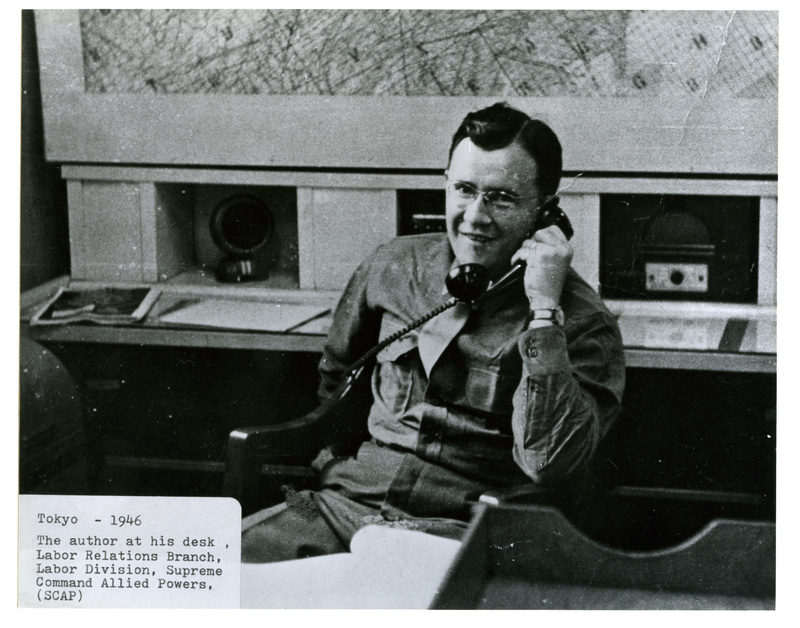 Kenneth E. Colton (1913-1995) was a scholar of modern Japanese politics, whose interest in Japan began during his service for General Headquarters, Supreme Commander for the Allied Powers (GHQ SCAP) during the Occupation of Japan, 1946-1952. In January 1946, he began work in G-2, Research and Analysis Section of the Civil Intelligence Section (CIS), researching Japanese political parties. He later joined the Civil Historical Section. His tenure with GHQ SCAP ended in 1952 when the Occupation of Japan came to a close, but his interest in Japanese politics continued. He taught at Sophia University, the International Christian University (ICU), American University and Kent State University. The Papers of Kenneth E. Colton are comprised primarily of materials related to his work in Japan during the Occupation on Japanese political parties and figures, the Diet and elections. Access: This collection is available for use in the Maryland Room on the 1st floor of Hornbake Library North. Owen Cunningham was one of several Americans who served as defense attorneys for Class A Japanese war criminals tried at the International Military Tribunal for the Far East. The defendants were also represented by Japanese attorneys. The collection is comprised of legal documents related to the trial of General Hiroshi Oshima (Japanese Ambassador to Germany, 1938-1939 and 1941-1945) and also includes notes, articles, correspondence and portions of a manuscript that appears to have been written by Cunningham.